When I first came to yoga I was a bit of a dabbler – trying a class or two here and there, using videos at home, reading books and magazines – not really getting very far. Eventually when I began practicing in earnest, I joined a very excited Steve Ross and his students on the Oxygen Network five mornings a week for a sweaty and uplifting vinyasa flow class called Inhale. Mr. Ross’ class was filled with students of different shapes, sizes, and levels of ability – for the first time I saw a place for me in a yoga class. I loved the way his classes made me feel and I enjoyed singing along to his playlist. I followed Inhale for several years until Oxygen went through a major programming change and cancelled it…sigh. The cancellation of that program led me to my neighborhood yoga studio and, ultimately, the cultivation of a consistent yoga practice. Almost immediately I connected with a teacher whose classes I enjoyed and I studied with her for a few more years. One day she suggested I join the next yoga teacher training cohort. I was surprised (and admittedly a little flattered), I’d never considered teaching before that moment. Unfortunately, a car accident put my plans of becoming a yoga teacher on hold. Thank heaven for my practice – it helped me get back into my body and I learned to appreciate yoga in a whole new way. A year later (sufficiently healed) I signed up for the next training. One of the first things I remember was our lead trainer saying we needed to “trust the yoga”, that everything else would take care of itself. Initially I wasn’t sure I believed this, but she was right. As I dove into my studies my practice deepened, my body felt better, my mind more at ease, and my curiosity demanded I continue learning more. More than 20 years and several teacher trainings later, I can report that my practice has changed and saved my life in more ways and times than I can count. I didn’t have to force anything – I just waited for my practice to tell me that I was ready for more. Each day people walk into our yoga studios with a variety of goals and desires. Some of them have a very clear idea of how they’ll get to where they want to go, but I think they’re the exception. Most of us (after 10 years of teaching I don’t think I’m overstating this) are just trying to figure things out. We don’t know exactly where to begin or where to go next. That said, when we get started and commit – staying curious and receptive to the messages from our body/mind/heart – we learn to trust that our practice will let us know when we’re ready to go deeper. If we don’t know what that next right step is, it can be helpful to turn to a trusted teacher. I’m fortunate that I had such a teacher and can’t thank her enough for seeing me and recognizing I was ready for more. I’m also pleased I now get to play that role, along with my colleagues here at 8 Limbs, supporting the growth and development of our yoga community. I so enjoy having these conversations with students as I continue to be a student myself. I wanted to share five ways I’ve worked to deepen my practice that might resonate with you as you consider how to grow your own practice this fall. See below. I look forward to seeing you around our studios. Please drop me a line at education@8limbsyoga.com if you have a question about our fall programming, or a suggestion about something you’d like to see in the future. I’d love to hear from you. Although on the surface they can seem very simple, the essential yoga postures offer great potential for discovery and insight. With renewed perspective they can awaken a new level of understanding. 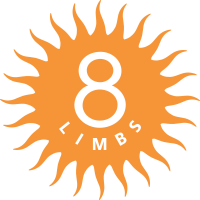 8 Limbs’ Introduction to Yoga and Intro to Yoga II Series’ offer opportunities to move slowly and deliberately, to refine alignment, and help unwind old habits. Meditation and mindfulness practices are not new, however they have received a great deal of attention in recent years, showing up in corporate conference rooms, public schools, and neighborhood community centers. 8 Limbs has offered meditation classes for several years. Students can dive into a 6-week Intro to Meditation series at all four locations to get a feel for how meditation can support them in daily life. The fourth limb of yoga is Pranayama, a Sanskrit word often defined as breath control. Taken into its parts, prana (which means life force or energy) and ayama (which means to extend) the word can literally be defined as extending the energy of life. I like this definition far more than breath control. There are several different pranayama practices that have been taught for centuries and longer, many that we will likely never encounter in a drop-in yoga class. This fall consider exploring Pranayama with one of our senior teachers, Jenny Hayo, at 8 Limbs Capitol Hill. Breath, as they say, is life. Why not learn to extend yours? As always 8 Limbs offers workshops and classes that take you to places you didn’t know you wanted to go. Three such offerings are on the fall schedule: Practicing Ahimsa: Non-Violent Communication Practices; Unpacking Whiteness, our continuing series created to support white folks in courageously diving into issues of white privilege and white-supremacy without shame or guilt; and The Body Conditioning Techniques of the Indian Martial Art of Kalaripayattu where students can learn the strengthening, mobility, and coordination exercises of this ancient martial art. As I said above, I hadn’t been thinking about signing up for teacher training until my teacher mentioned the idea. I went in knowing I wanted to teach but that wasn’t the case for many of the other students in my cohort. All of us did however gain a deeper connection to the practice physically, intellectually and emotionally. Perhaps you’re ready to start! There are still a few spots left in our upcoming teacher training beginning October 12th. Please reach out with questions if you’re interested. Click here for more information.